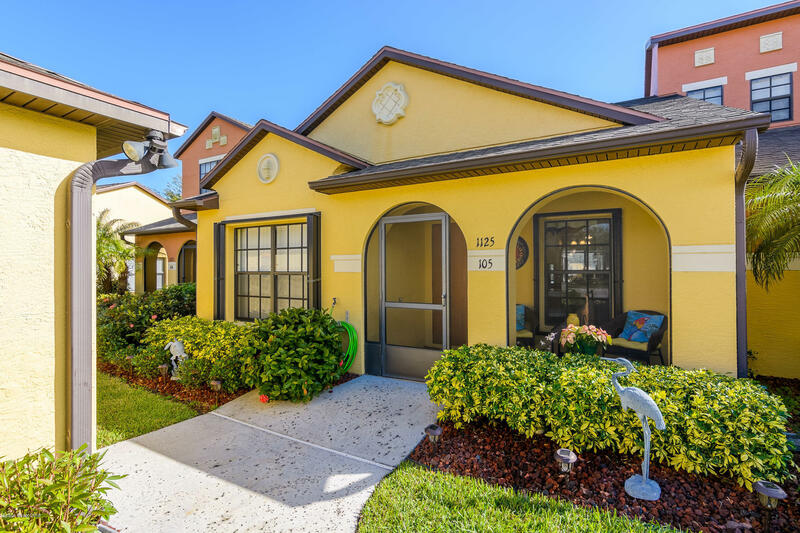 NO STAIRS in this gorgeous and updated 2-bedroom/2-bathroom townhome in the coveted Sonesta Walk subdivision. The home features a split bedroom, stainless steel appliances, and laminate and tile floors. The beautiful screened porch has tile and an AC unit along with a breathtaking water view! HURRY, this little oasis won't last!! !